Through a statistical cluster analysis based on two components, decommodification and stratification, the first work package will test the first hypothesis (H1) that emerging markets are forming a new welfare regime. In addition to social assistance and insurance, the database will include indicators on the education system, healthcare and social care services to provide a specified set of criteria “exhaustive” of what the welfare state is. 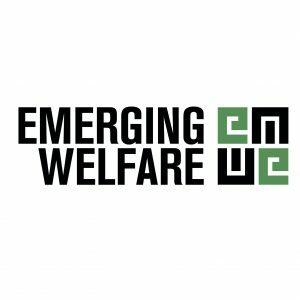 The project, thus, will compare emerging markets and the Western countries in terms of how the whole welfare systems perform in terms of decommodification and stratification. WP1 has two separate tasks: WP1.1 (Data compilation): WP1.1 will compile from national and international sources the data on social protection indicators on OECD and emerging market countries and standardize these data so that a statistically robust cluster analysis can be run. The international databases that will be used are World Bank’s ASPIRE, The OECD Social Expenditure Database (SOCX), ILO’s Social Security Expenditure Database, OECD Social Benefit Recipients Database (SOCR), and Eurostat’s Social Protection Statistics. Most of these indicators are already available in these databases (WP1.1.1). For indicators not available at international sources, this research will compile official data from research, development and statistics departments of local authorized bodies, such as the ministries of labour or social policy (WP1.2.1). In WP1.2 (Data clustering), to test H1, this project will conduct both hierarchical cluster analysis (HCA) (WP1.2.1) and K-means cluster analysis (KCA) (WP1.2.2), following Pitruzello (1999), Gough (2001), Gough and Wood (2004) and Powell and Barrientos (2004). In case WP1 produces four clusters out of OECD and emerging market countries and if emerging markets exclusively form one of these clusters, this will confirm H1. Otherwise, emerging markets will individually fall in one of the existing welfare regimes or form a subfamily of existing ones. The project will still continue with WP2, with a slightly modified Hypothesis 2, which will explain the “rapid expansion of social assistance programs” instead of “the rise of a new welfare regime” in emerging markets, similarly considering political factors.